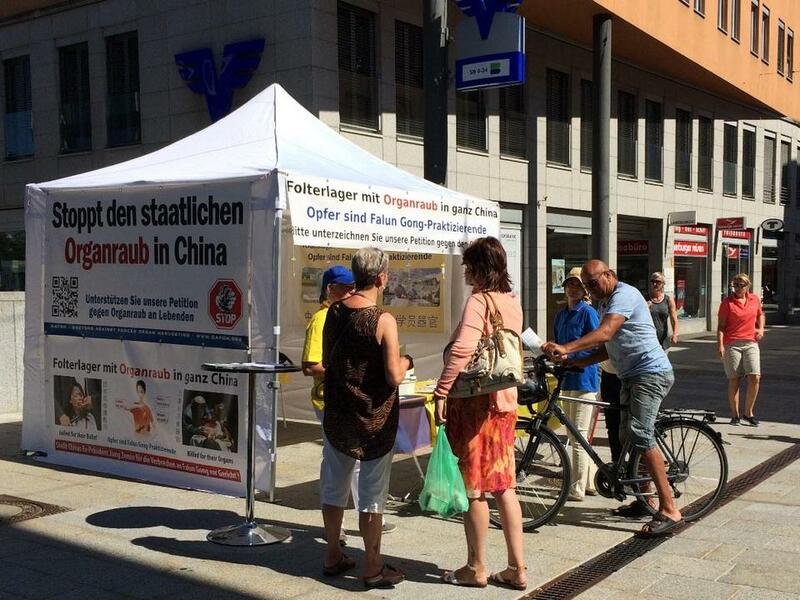 Falun Dafa practitioners set up a booth on August 27, 2016, in Bregenz, Austria, and many tourists, including some from Switzerland and Germany, came up to learn more about the practice and the persecution. One freelance journalist was curious to learn more about Falun Dafa, and he asked many questions. After reading information on the pamphlet, he remarked that those sources were credible, and he said he believed that the forced organ harvesting was consistent with communism's brutal history. Michellella, a young woman from Romania, said that people in her country knew of the bad deeds perpetrated by communist regimes very well. 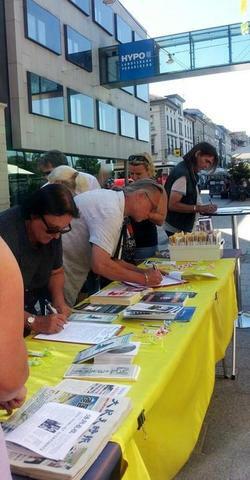 She was glad that Falun Dafa practitioners had stepped forward to protect their faith despite the pressure.